Surviving are one son John Blair Day III of Lexington, KY; three daughters Barbara Efaw and husband Gary of Hundred, WV, Carolyn Clauze and husband Reggie of Petersburg, WV; Rebecca Swartz and husband Roy of Selma, NC, and Betsy Day of Selma, NC. 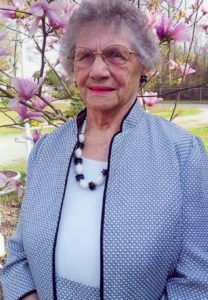 ; 10 grandchildren, 8 step-grandchildren, 5 great grandchildren; special niece Shirley Shanholtz of Hagerstown, MD, special “son” David Grizzell of Kinston, Ohio; and special neighbors Lee and Trudy Bizzell of Selma, NC. Funeral services will be Sunday, September 2 at 2:00 at Schaeffer’s Funeral Home with Pastor Rick Bergdoll officiating. Family will receive friends one hour prior to the funeral service at 2:00 p.m. The family suggests that memorials may be made to St. Jude’s Children’s Research Hospital (designate leukemia research).